Producing high-quality through-hole plating is critical in the production of modern multilayer PCBs. LPKF offers several processes to complement the range of products for in-house PCB prototype production and cover almost any application area imaginable. Perfect for small batches and labs where chemical plating is not viable, ProConduct is a cost-effective alternative for through-hole plating that eliminates the need for wet chemistry or electroplating tanks. A vacuum draws the conductive paste through the drill holes for a smooth coating and metallization that yields perfect results in mere minutes. The ProConduct system is capable of coating the barrel walls of the holes as small as 0.4 mm (15 mil) and up to an aspect ratio of 1:4. The basic process takes only a few minutes for double-sided and multilayer PCBs, and since ProConduct doesn’t apply additional copper to the etched surfaces, it does not impact the calculations in RF applications. 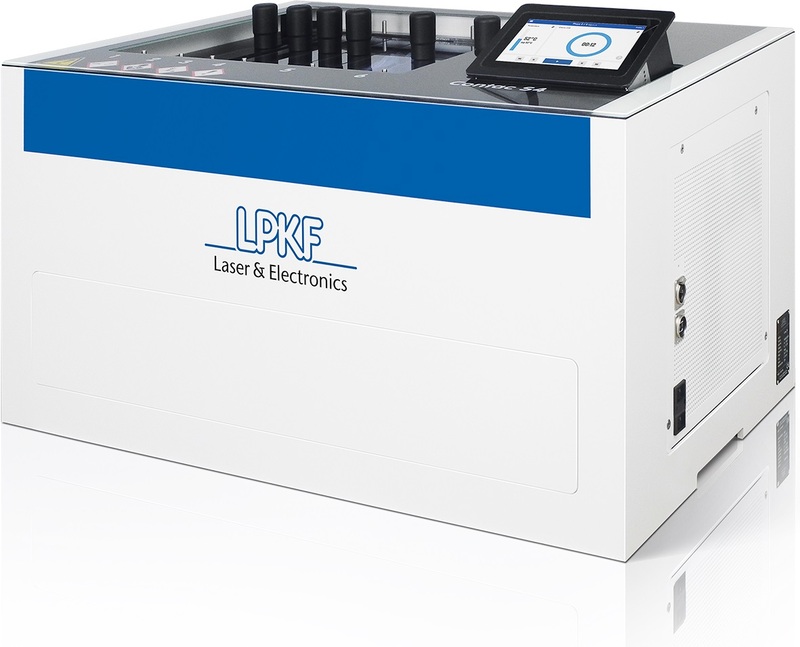 The LPKF Contac S4 is an electroplating system for professional through-hole plating in PCB prototypes and small batches. The system uses reverse pulse plating in which precisely controlled pulses remove excess material, eliminating the “bone effect” and produce more uniform copper plating for difficult aspect ratios and plated vias as small as 0.2 mm (8 mil). The desktop design is ideal for labs with limited space and the process takes approximately 90-120 minutes. 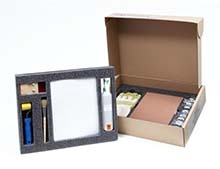 The Contac S4 handles PCBs panels up to 9" x 13" and has an optional chemical tin-plating feature. The LPKF EasyContac is a manual through-hole plating option for small quantities and applications where double-sided soldering is impractical. The portable kit contains rivets that are placed into drill holes by hand and inserted with a pressing tool which then solders to the copper layer. The diameter of rivets ranges from 0.6 to 1.2 mm and plates double-sided standard FR4 PCBs. The kit is ideal for repairing PCBs and for prototypes with up to 50 through-holes.